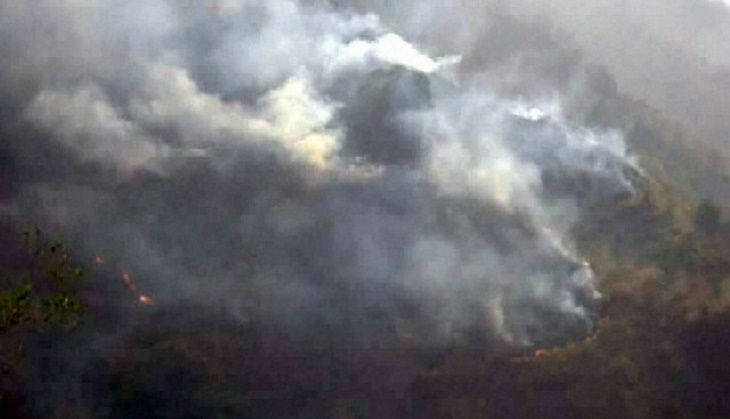 The forest fires that have been wreaking havoc in northern India has reportedly spread to Kasauli in Himachal Pradesh. TV visuals showed children being evacuated from the Pinegrove school in Kasauli as the flames licked the walls of the school. The blaze was put out after nearly an hour. Government officials and locals have been trying to tackle the forest fires that have been burning for three months in Uttarakhand. The fires have now begun to spread to neighbouring states, including Himachal Pradesh, Uttar Pradesh and Jammu and Kashmir. Personnel of the National Disaster Response Force, the Army and the Air Force, are working to fight the blaze along with thousands of firefighters. Lower regions in Himachal like Una have seen the temperature rise to an unprecedented 42 degrees Celsius. The temperature in Shimla is the highest of the season at 27.5 degrees Celsius, about five degrees above normal.